The ultimate convenience size for stocking up on Play-Doh. 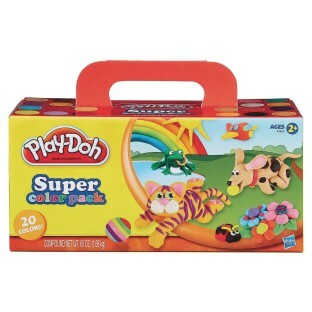 The ultimate convenience size for stocking up on Play-Doh! Pack includes 20 unique colors in 3-oz. 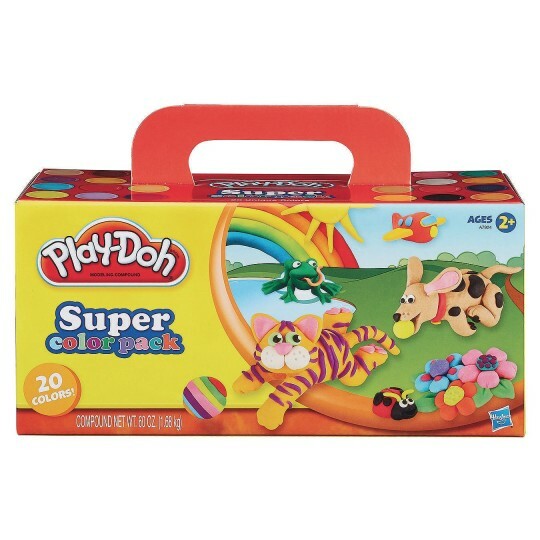 cans of Play-Doh compound. Easy-to-carry case. Reusable. Non-toxic. Please note that package graphics may vary but contents do not. Good set of Play-Doh if you catch the coupons that SS throws out for customers to use it's an even better deal.